I never realised my hair grew so quickly until I had a fringe and was trimming my fringe at least every 2 weeks. I would straighten my fringe every day and was worried about how the heat from straightening was damaging my hair. I didn’t like having hair in my face (I must be paranoid because I was certain there were insects in my face), I kept trying to move the hair out of my face. Now just because it didn’t work for me it doesn’t mean that it won’t work for you and I know loads of people who rock amazing fringes. In the last few years, curly hair has become a trend and if you have naturally curly hair and want a fringe, definitely jump on board. This post is going to be focusing on how to do a fringe that will be left in your natural state instead of straightened hair. I would suggest wearing your fringe curly instead of straight to avoid heat damage. The hair at the front of your head frames your face and is what most people see, and if this becomes damaged, it is very obvious and will take a while to reverse. So here is a short guide to rocking a curly fringe. No matter what you are doing to your hair, you should do an extensive amount your research to make sure that this change is for you. After all, once you cut it off, you’re going to have to wait until it grows back. Google and YouTube are invaluable resources but also ask people around you about what they have done, this a great way to here first hand about other peoples experiences, don’t be shy. On YouTube there are a million videos (661,000, to be exact), on how to cut a fringe at home but this may not be for you. It’s important that you weigh up the pros and cons between a hairdresser and doing it at home. I won’t go too into detail into how to cut a fringe at home as there are already so many step-by-step guides and videos online that will be more useful. One factor however that I would consider, is if there is anyone at home who could help do it for you. Having someone else to do the cut may be a lot easier, especially if you are nervous. It is a great way of eliminating any shaky hands and ensuring a straight(ish) line as they can clearly see your hair. So if you can, find someone you trust to do it for you. If however, you think you want to pay to go to a hairdressers, I would suggest you try and find one that specialises on curly hair. I looked online and found these three in London quite easily but definitely do research and check them out before you commit to a cut. Also, set yourself a budget and compare prices until you find something that will give you the results you want for the price you are happy with. So, you have either decided to get your hair cut at home or to have your hair done by a professional, now it is time to commit. If you are choosing the home cut, you need to do some prep work before you whip out the scissors. Firstly you need to figure out what scissors you actually need, (those dull kitchen scissors in the drawer won’t work here). We don’t want to give ourselves any split ends, so make sure you get your tools ready. Find a place and a person and get a broom ready for sweeping up the hair once the job is done. If you are going to be using a hairdresser, you need to book the appointment. Ask to see the hairdressers work and bring some photos to show how you want it to look. If you want this, commit to it. 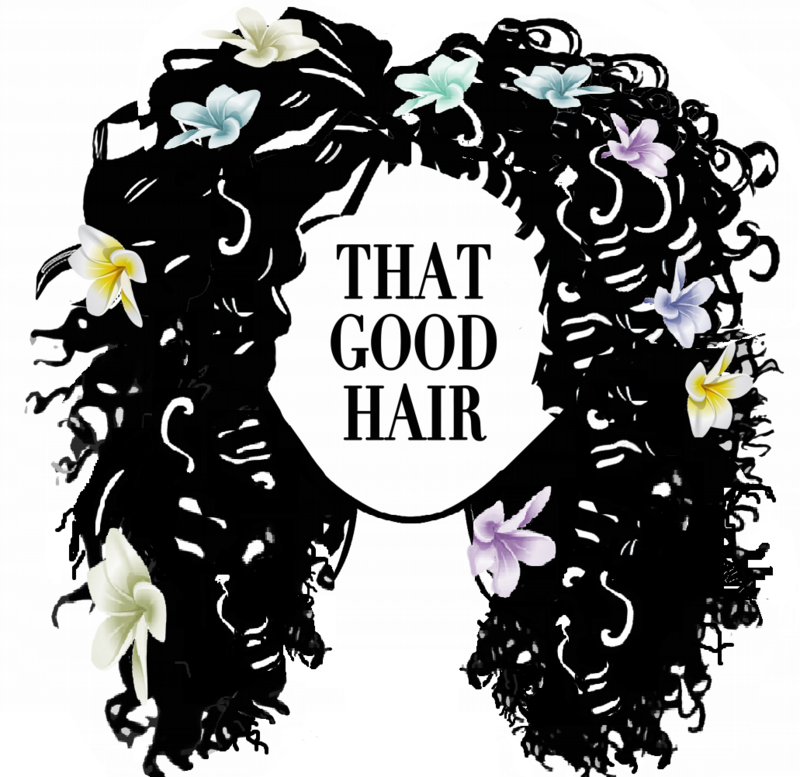 Now its been done its time to take a million and one photos to show the world your new hairstyle (don’t forget to tag me @thatgoodhaircompany). Love it or loathe it your going to have to rock it until it grows out so you may as well embrace it. Now you have it, you need to look after it. With a curly fringe, you are going to really want to make your curls pop. Being literally right on top of your face it is important to make sure you keep it looking healthy and defined as it is what people will see first. Even though your fringe is separated from the rest of your hair, it is so important to still moisturise it to keep it healthy and minimise fringe. Whilst on the note that it is right on top of your face, to avoid a spotty forehead, use natural product like aloe vera gel and lightweight oils like organ oil so you face doesn’t get to oily. I hope if your looking to take the plunge into a curly fringe, that this post will help make your cut a success.